5 Reasons Why Search Engine Marketing is Crucial? Concerned about your business success, internet marketing can play an imperative role to bring your business on top of the charts. Search Engine Optimization, abbreviated as SEO, enroots this marketing strategy. SEO is a vast form of internet marketing which has various branches and sub-branches. 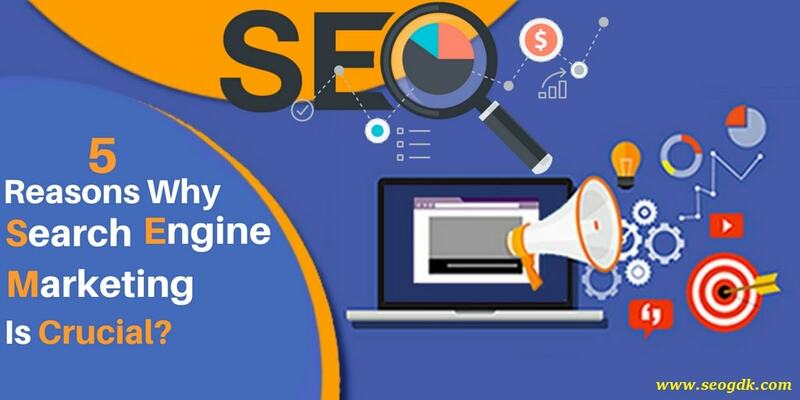 Performing an effective SEO campaign, you don't have to convince the customers of their need, but the focus is required to show them that you are the best at fulfilling those particular needs. While engaging with an astounding SEO campaign, you have already won the first half of the battle before its initiation. Now, without wasting further time, here you can check out 5 reasons why Search Engine Marketing (SEM) is crucial. ROI is the return on investments and a smart businessman always keep an eye on this factor. Running a business highly depends on the way, one performs business advertisements and marketing. The traditional ways of market campaigning were popular in the bygone times but they offer very less ROI’s in return. These methods require larger investments, consume more time and they lack while outreaching the target customers. On the other hand, SEO offers you specific and inbound marketing strategies. Which means that you get the ability to market your product when the customers are looking for products and services similar to yours. In this, you don't have to post ads in the newspaper or disturb their movies and TV shows. There is no need for customer convincing, the customers will come in search for you when they are specifically looking for the products and services you are providing. SEO provides an immense power to generate valuable traffic on your website. On the other hand tools like Google Analytics helps you in tracking and analyzing this traffic. This precise data and analysis give you deep insight of your customers. To be more specific, you can examine the below-given informatics about your targeted customers. ● The way your customers search. ● Preferred language of your customers. ● What kind of technology do they use for searching? ● Which region do they belong? ● How proactive are they on the internet? ● Which time are they most active on the internet? These are some of the informatics which is hard to judge and calculate with traditional marketing methods and campaigns. But Search Engine Marketing has the power and allows you to make business strategies with respect to such classic informatics about your targeted customers. Explaining this term in a layman’s language, starting a business in a crowded place and a deserted place has a major difference in the outcomes. Let's take it narrower, a small stall at the metro station with a full-fledged shop at the street corner. Which will run well? No matter the crowded place might not bring a good amount of customers instantly but there are high chances that you can get customers attention and later grow your business. It depends on how you attract your customers and generate leads. But business in deserted place won't even help you in running it even at minimal profits, as it requires more efforts, time and money to reach a better level. Similar way, the traffic generated by SEO tricks and tactics are basically qualified leads. These customers are looking for businesses similar to yours and you get a fair chance to close these leads for more profits. Google provides you with the specific and well-researched information you need, but for the majority of users, it’s a Gospel. The higher the ranking your business gets on the Google or any other search engines, the more you are voted with confidence. It depends upon how frequent you are searched on Google and how relevant is your business with the searches made. Customers on the other side don't have the idea of this fact but with a high ranking on search engine result pages, your credibility increases in their eyes and imprints on their minds. When customers search about products and services same as yours, the only thing you desire is to attain higher ranking with their respective research at various search engine result pages. The major reason for this desire is that you want those customers should only reach your website. But now the customers are getting smarter and precise with their search entries and keywords. They often edit their search entries and dig deeper for better results. But how can these factors benefit your business? Well, if you engage with Search Engine Optimization, there is a specific keyword management system which will increase your visibility with every search made by the customer. With this, there are good chances that the user will click on your website, as your business gets continuously displayed in the search results. 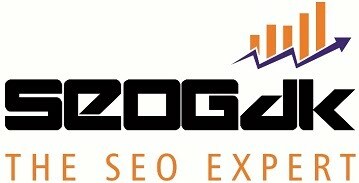 It increases the trust factor among customers and makes Search Engine Marketing vital for your business. It's easy to invest and start a business but taking it to maximum height requires skills and tactics. Marketing techniques improve every business, but now its time for Search Engine Marketing. Internet marketing helps to outreach your target customers with the best ROI and rate of success. Robert Sumner works as a writer for Media Fortress, a web designing Agency offering cost-effective SEO Services In Melbourne. He is a web addict and spends too much time in front of the computer. When he actually manages to get away for more than 10 minutes, he is usually reading books, traveling or shooting photos.